Nothing seems to work, however many times commentators ridicule slow players, however many unfathomable timing statistics get released of the PGA Tour, however many petty fines get issued, the problem still remains. And the worst thing about it all is that when it comes to the majors, yes, it gets even worse. It’s strange isn’t it, that in this digital age of social media and over-analysis that professional players continue to ridicule themselves on the course, when they know at least someone will write about it, talk about, or more likely tweet about it. A small number of players are praised for playing quick golf, which to me seems mad, shouldn’t it just be a given? McIlroy is seen as some sort-of cult hero as the leader of revolutionary gang of golfers who just get down and hit it. This needless praise wouldn’t be necessary if ‘fast golf’ was just the norm. Deliberator’s, waggler’s, faffer’s, step away and start again-er’s, I don’t care because I’m a professional golfer and I’m here all day-er’s, come on now it’s time to speed up. 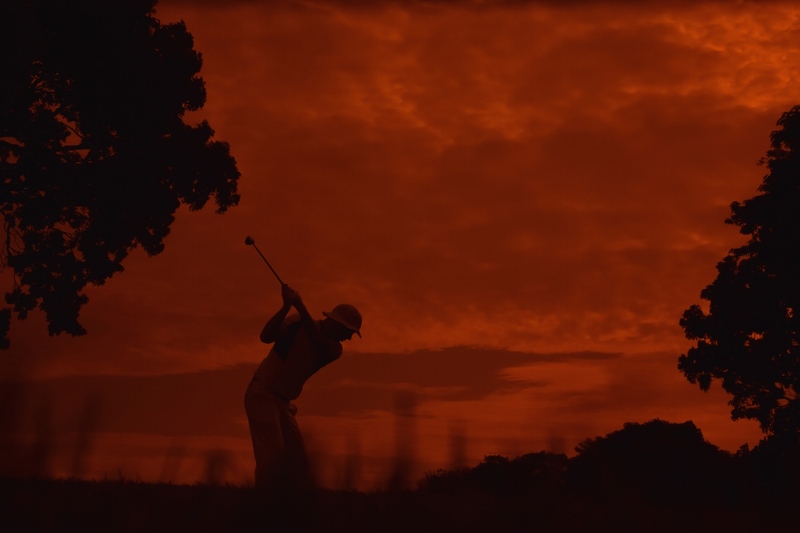 Wouldn’t it be great to see a new format in golf introduced every once in a while? Have you ever switched on the TV in search of your daily golf fix, to find that really there is nothing on worth watching, and instead you found something faster, and dare I say more entertaining? For example Shoot-out Snooker. A format of a traditionally ‘slow’ and ‘boring’ game that has worked well, so much so that a new game was introduced – Power Snooker. Shoot-out snooker only allowed players 20 seconds to play each shot in the first five minutes of a 10-minute frame, and on 15 seconds in the last five minutes. It makes for an entertaining watch, even involving the crowd, trust me. Surely it wouldn’t be that hard for the golf boffins in R&A land to scratch their heads hard enough until a decent idea came out? Fast play certainly looks good from GolfPunk Tower’s, and we don’t think we’re the only ones. 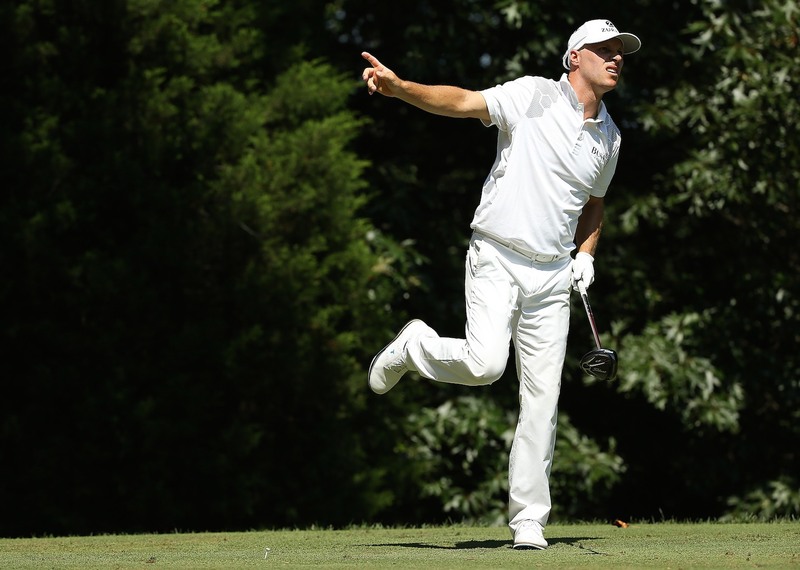 But, whilst the boffins scratch their heads and we dream of four-hour rounds every time, here’s your top five golfers who need to take a leaf out of Don Henley’s book and become eager for action, and hot for the game, it’s time golfers, to live life in the fast lane. Crane is well known as being your typical slow golfer, and when I say slow, I mean painful. Back in 2005, tour veteran Rory Sabbatini, who is known more for his hot-headed approach to the golf course, became so tired with Crane’s painfully slow play in the Booz Allen Classic, he finished playing the 17th hole on his own and walked to the next tee to wait for Crane to complete the hole. Bad etiquette? Yeah, maybe but let’s be honest Craney, this wasn’t just a one off. Sod this, I'm going for a pint. For many of you guys, to see Tiger Woods’ name in this list may come as a bit of a shock. Known as the man that changed the game with an electric approach to every single aspect of it, you wouldn’t think that slow play came into it. 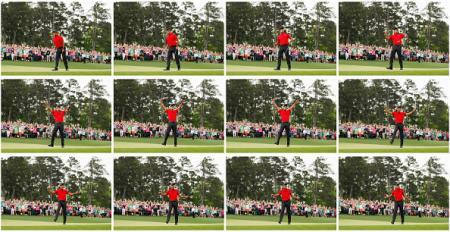 Now I do have to make it clear that that this only really applies to the second half of Tiger’s career – the post ‘Tiger-Slam era’. If you were to look back through the films of him winning major after major, and look at how long he deliberates over each shot, you would be astounded. At the time, it wasn’t even questioned because everyone was far too focussed on what he was going to do next, and the inhuman amount of putts he holed could be said to have made up for his slow play. 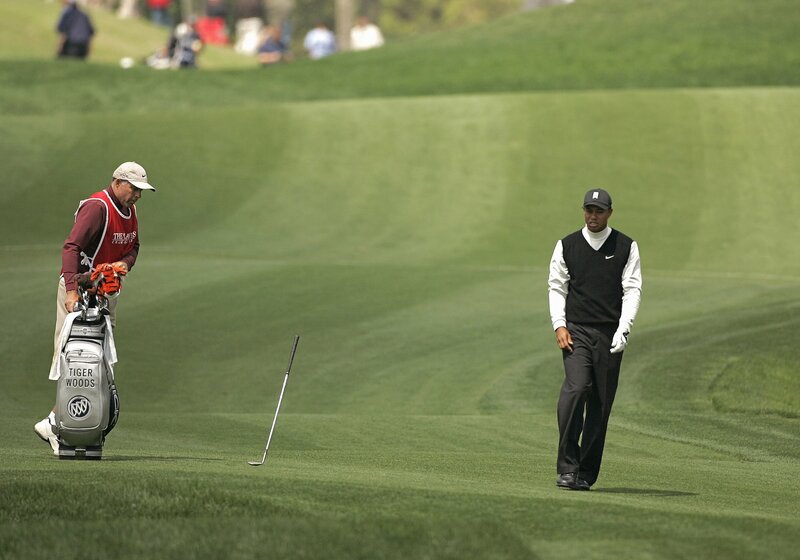 Tiger was a master of controlling the pace of an entire tournament if he wanted to, frequently getting referees onto the course, stepping away from shot after shot, without a doubt having an effect on the players around him. As we know Tiger made up for it in the end, so we didn’t care. But now things have changed, and he seems to have become even slower, with little evidence of making up for it. Who knows, speeding things up to a pace of 1999 might even help his game, in-fact it most definitely would. Just get down and hit it. (I cannot believe I just attempted to give the Tiger Woods golf advice – this whole journalism thing has gone to my head). 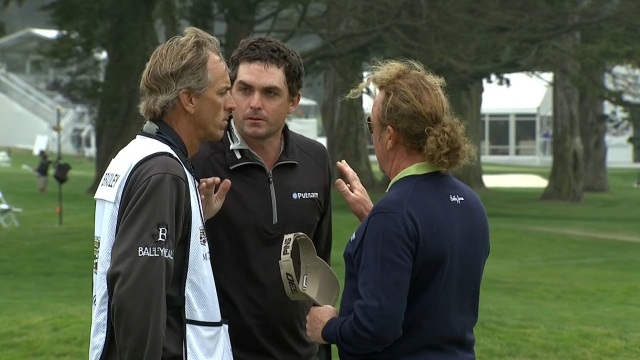 Miguel: "You play like the demented lounge lizard who is always in 12 minds and no one likes you, not even Steve your caddie"
Keegan: "Is this true Steve? Do you really not like me either?" Keegan, I’m sorry but the club-spinning, club-waggling, stepping forwards and backwards more time’s than old lady’s rocking chair has got to stop. It’s not big and it’s not clever. To be fair to Keegan, once he gets to the ball he’s pretty quick, its just getting there that seems the problem. Watch this video, I say no more. Jim Furyk, a notorious slow coach. Every body knows it, and every body hates how slow he plays. If it wasn’t for his ‘exotic’ swing at the end of every yawn-worthy pre-shot routine, I’m pretty sure that Furyk would not be seen as the PGA Tour legend he has become. Mind you, his unbelievably consistent golf game may have something to do with that as well. 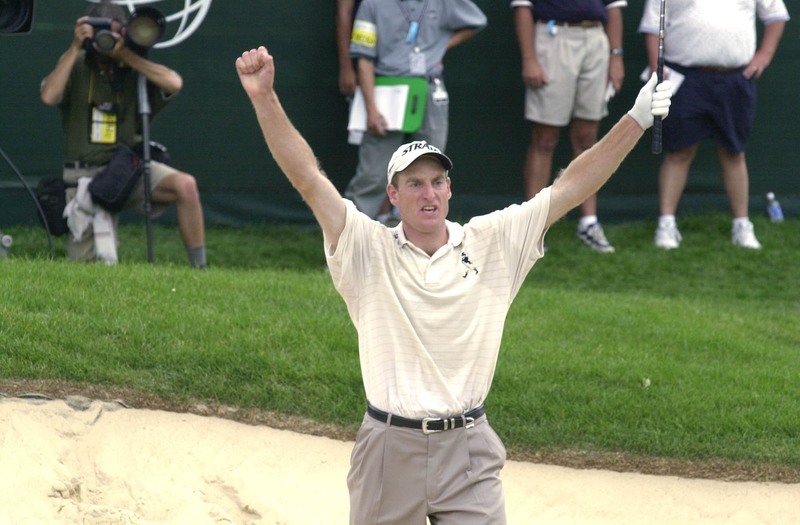 For me, Furyk falls into the category of major winners, where you know he’s won one, but you can’t actually remember when or what he won. (US Open, 2003). Kevin Na has been thrown into the unenviable list of slow golfers in recent times, but Furyk – the leader of the pack – even came out to defend Na after playing with him in 2014 saying he was being “unfairly scrutinised”. Golf Channel’s Brandel Chamblee and Arron Oberholser, engaged in a discussion about the matter at hand and came to the conclusion that Furyk was in fact the slowest player on tour, not Na. They used the interesting evidence that TV producers don’t actually show Furyk’s full pre-shot routine, when in fact the cameras have learnt to only go to him after his first deliberation away from the ball to start his routine again. Furyk if you’re going to be slow, you might as well be so slow that you look fast, fair play. Ze German Langer, regarded as the slowest player in golfing history. Luckily I’m not old enough to have seen him take the most time in his prime. If Langer’s slow play can be praised for anything, you know – sliver-lining and all that – it has to be the quotes that have come from fellow golfers because of it. Staunch-extraordinaire Lee Trevino once famously said: “He was clean shaven when we teed off” regarding Langer’s sluggish progress. Paul Azinger also had a dig at Langer when he was partnered with fellow slow-coach Nick Faldo in the 1995 Ryder Cup at Oak Hill Country Club. Azinger goaded Langer and Faldo saying: “They ought to invoke the same-day rule.” Ouch. He also received his fair share of fines in his time notably receiving one for $500 on the last hole in the Players Championship back in 1985. The annoying thing is, the winner of the tournament got $142,000, so a $500 fine is hardly an incentive to speed things up? 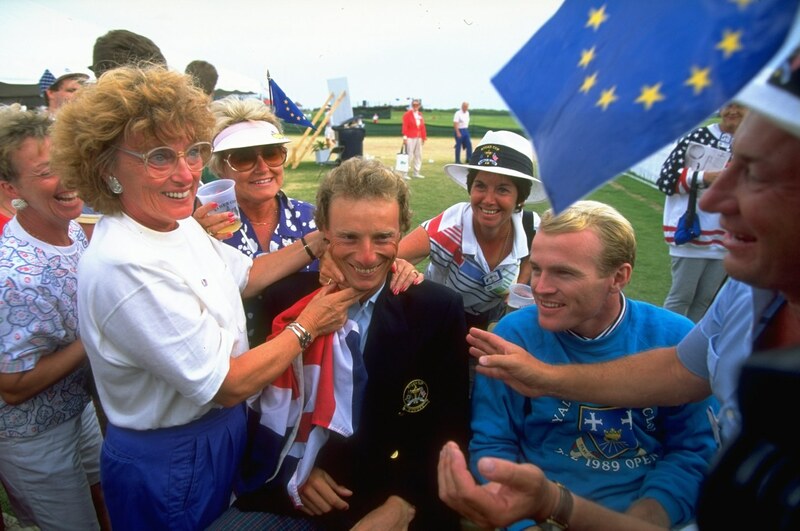 Unfortunately Langer hasn’t learnt his lesson and is still flying the flag for slow play on the Champions Tour. Come on Langer, we’re losing our patience over here.